A border city between Judah and Dan, Beth Shemesh was given to the Levites. 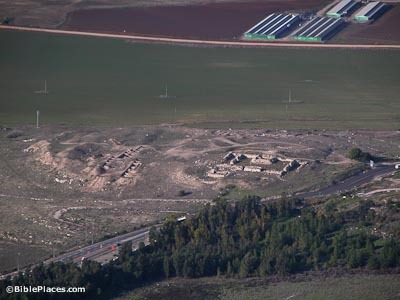 Beth Shemesh was the most important Israelite city in the Sorek Valley as it watched both east-west traffic through the Sorek Valley and north-south traffic along the “Diagonal Route.” Recent excavations have shown a thriving city here from the Middle Bronze Age through the Iron II period. 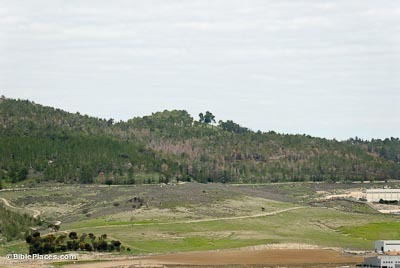 On the north side of the Sorek Valley across from Beth Shemesh are the ancient villages of Zorah (top of ridge, center) and Eshtaol (off picture to the right). 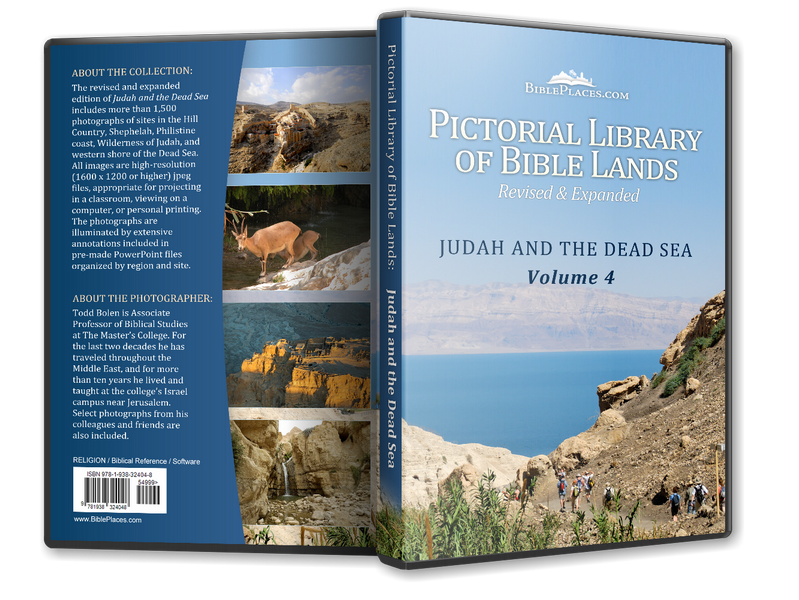 Samson’s prophesied birth was in this area (Judges 13) as was the location of his burial (Judges 16). Samson’s first “girlfriend” lived at Timnah a few miles west in the Sorek valley. His last girlfriend Delilah lived somewhere in this same valley. 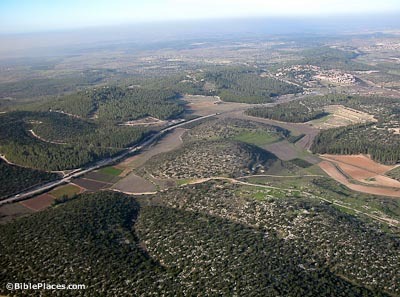 Excavations of Beth Shemesh are visible in the foreground and the Sorek Valley to the west is behind. Samson traveled down this valley numerous times including the time when he killed the lion and later when he tied the tails of 300 foxes together. 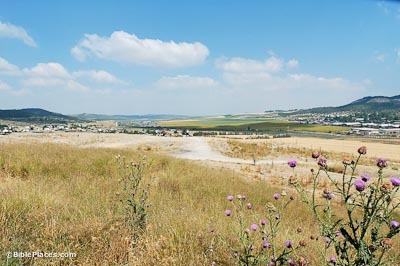 This was the vantage point of the Israelites who watched the ark of the covenant return to Beth Shemesh on a cow-pulled cart from the land of the Philistines (1 Samuel 6). 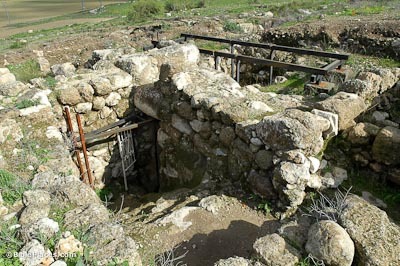 The importance of Beth Shemesh is largely owing to its situation along the route leading south to Lachish. Known by some as the “Diagonal Route” (no name is given in historical sources), this route was the major artery through the Shephelah in the historical periods. Travelers going south from Beth Shemesh will meet most of the major cities of the Shephelah along this route: Azekah, Moresheth Gath, Mareshah/Beth Guvrin and Lachish.